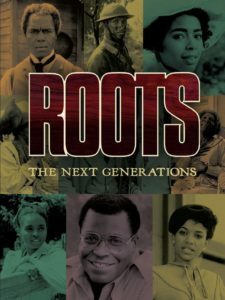 Roots rocked the cultural landscape in the late 1970s, creating a new wave of awareness of African American history. That wave opened the door for its sequel, Roots: The Next Generations, even more of a star-studded event than the original. With stars like Olivia de Havilland, Henry Fonda, Marlon Brando, Georg Stanford Brown, and James Earl Jones eager to partake in the tale, the sequel follows the rest of the saga of the family of author Alex Haley, from where Roots ended shortly after the end of the American Civil War, up to the 1970s when Alex Haley was researching and writing his earth-shattering and ground-breaking family story. While nothing can rival the power of the original Roots’ unflinching look at the slave trade and slave life in the early years of this country, the sequel is still full of rich African American history, from Reconstruction, to Jim Crow, through the Great Depression, to the Civil Rights movement and the early rumblings of black power. Henry Fonda and Olivia de Havilland are respectable in their period-piece roles, but the real power of this sequel is in the more immediate concerns of Alex Haley and his own experience of prejudice while building a stellar reputation as a writer and journalist in the 1960s and 1970s. One of the most unsettling scenes takes place then, when Haley interviews the head of the American Nazi Party, George Lincoln Rockwell, played with chilling diffidence by Marlon Brando. (Brando won an Emmy for this performance.) Haley is also challenged by his fractious interview with Malcolm X, portrayed by a gripping Al Freeman Jr. It was in this mini-series where James Earl Jones launched his acting career playing Alex Haley with nuance and heart, but with a humanizing set of his own demons. Henning, TN, 1882: Kunta Kinte’s progeny live free, although the family isn’t treated equally. Jim Crow laws are on the rise. Tom Harvey, now the family head, has opened a school and is pressed by ex-Confederate Colonel Warner to close it when Warner’s son falls in love with the schoolmarm (woman schoolteacher). But Tom knows education can help break the chains of second-class citizenship. 1896. “I is a free man!” Tom Harvey thunders, yet threats to freedom abound. An unfair literacy test impedes Tom’s right to vote, and hard-luck Lee Garnet is murdered as an “example” to others. The courtship of Tom’s daughter Cynthia and Will Palmer is a tender counterpoint to the violence. Their first child Bertha George will become the mother of Alex Haley. 1914. As Henning grows, so does the lumber company run by Will Palmer. He sends his daughter Bertha to Lane College, where she meets her future husband, poor sharecropper’s son Simon Haley. Simon works as a Pullman to earn college money, learning the ropes from longtime porter Dad Jones. When America enters the war to end all wars, Simon enlists. Institutionalized military bias shackles America’s World War I black troops. Simon fights in France with the 92nd Infantry, Colored. He returns to marry Bertha; their first child is Alexander Murray Palmer Haley. 1932. The influences that shape young Alex Haley come into focus. Grandfather Will shows him the section of California Redwood charting the family history. Now a professor, Simon emphasizes education. When cousin Georgia and others recount stories of Africa, Alex listens intently. But it is also a time of loss: Bertha dies at a young age. Restless Alex leaves college and enrolls in the Coast Guard. During World War II service in the Pacific, he discovers his gift for writing and decides to make journalism his livelihood. His single-minded career pursuit costs him his marriage to Nan. “We don’t need no X,” Cousin Georgia says. “We knows our name: Kinte.” The “X” refers to Malcolm X, who substitutes the letter for his unknown African name. Alex wins the controversial leader’s trust and later collaborates on The Autobiography of Malcolm X. Alex draws top journalistic assignments, including a tense interview with American Nazi leader George Lincoln Rockwell (Marlon Brando in an Emmy-winning performance). Then Alex begins a 12-year quest to confirm his family’s story.